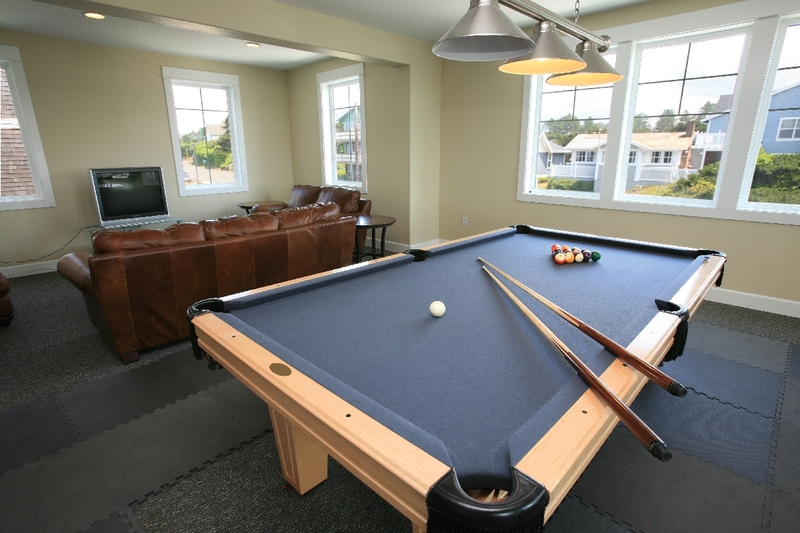 When staying at this Oregon Coast vacation rental you will also have free access to Wireless Internet, the Exercise Room, Heated Indoor Pool and Game Room located at Pacific Winds. "This was one of the nicest condo's I've stayed at. It is exactly as the pictures show. The hot tub was amazing and the entire condo was very upscale. We will be back again." "It was amazing!! Loved the unit, location and the hot tub was a huge plus. We will be back and request the same unit." We do our best to insure each stay at our vacation home turns out that way! "Stayed 7 nights and enjoyed very much. Super clean and a great view." "This rental is amazing! We felt right at home with all of the amenities provided. The proximity to the beach can’t be beat and our views were always spectacular. 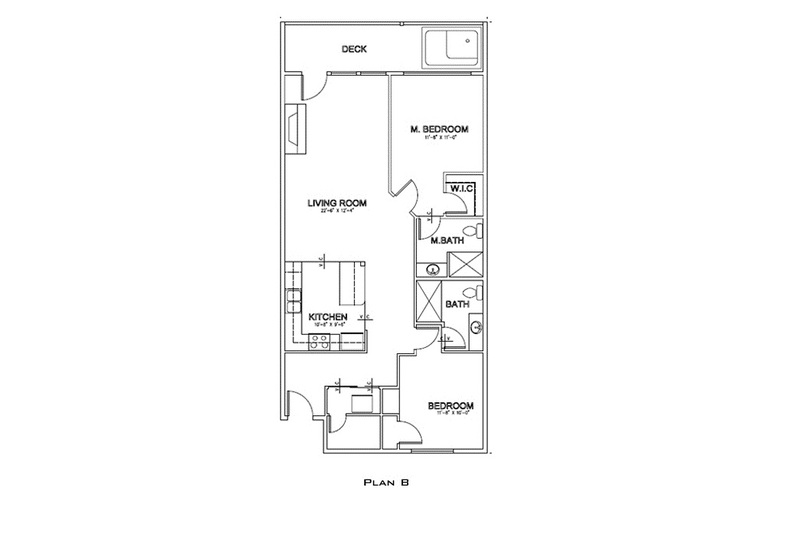 The layout is very family friendly with the teens having their own bedroom and bathroom on the opposite end of the unit. We did not want our stay to end and will definitely book at this location again. 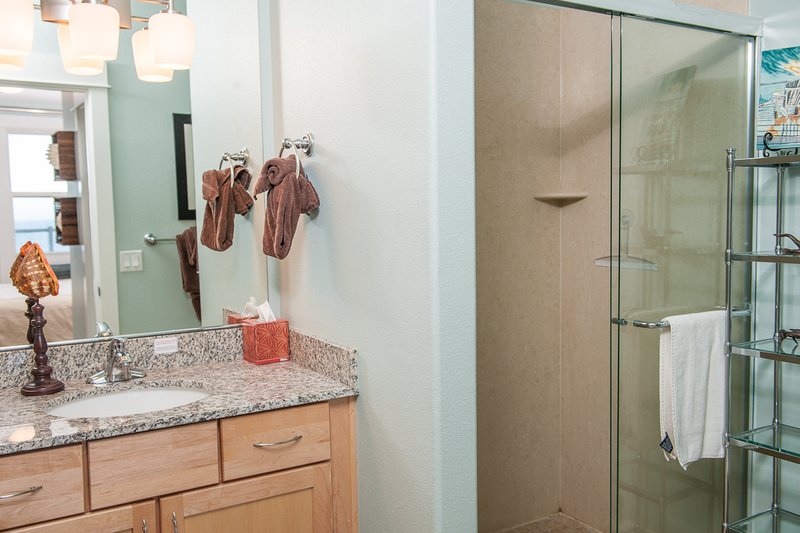 Keystone makes the entire process so easy with their online booking and detailed instructions. Our experience was wonderful from start to finish!! I would highly recommend this rental." This vacation home does have a great layout and pleased to hear everything went well! Thank you for staying with us this summer! "This condo couldn’t have been more perfect. It immeadeaty felt like home, it is very spacious and decorated very nicely. The kitchen was large with enough room to cook, the living room was cozy with the fire on and listening to the waves crash in. And the beds were way better than the hotel ones we were on before! And the views.... so amazing. From watching the sunset, whale watching in the morning, ordnance picture perfect. It was hard for me to leave the hot tub night, relaxing looking at the stars and listening to the waves. 10/10 would stay here again." We hope you are able to make it back to our vacation home again soon! "Our stay at The Tides was absolutely glorious! It was everything advertised and more. We are so blessed to have found this gem for our family's annual getaways to the Oregon Coast. We plan on booking it again for our next stay. Thank you for welcoming us to our new home away from home." Your welcome! Please you enjoyed our vacation rental. 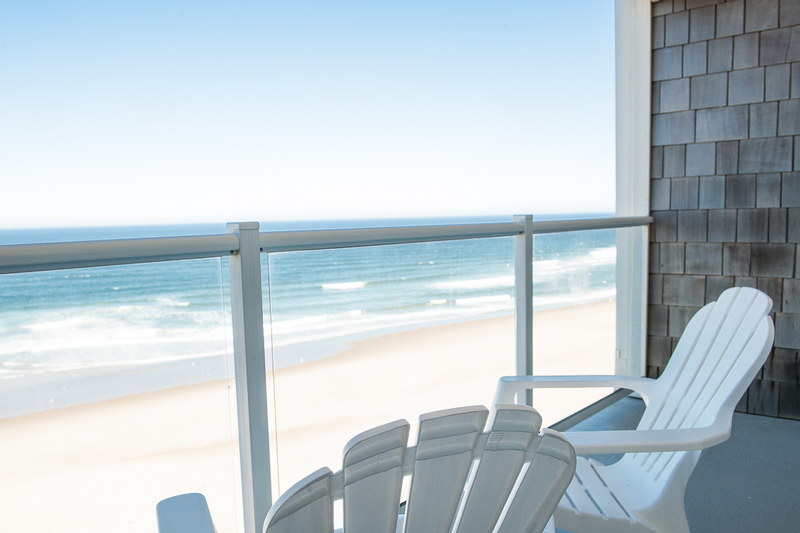 "The Tides at Pacific Winds is a wonderful condo. It is very clean with a well equipped kitchen which has everything you need to prepare meals. The views from the deck hot tub or chairs is beautiful, especially with a great sunset. The Pacific Winds complex is also very clean and extremely quiet with easy parking and easy beach access just down the street. 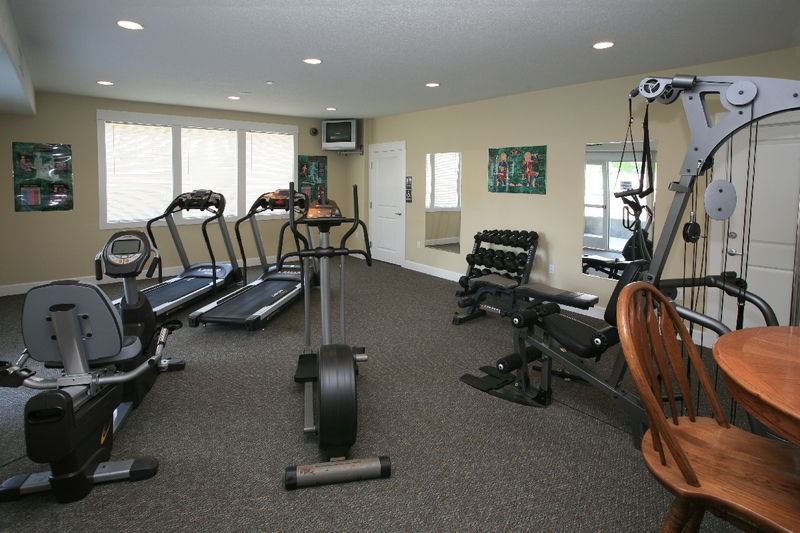 The complex is also conveniently located near shopping, activities and grocery stores. 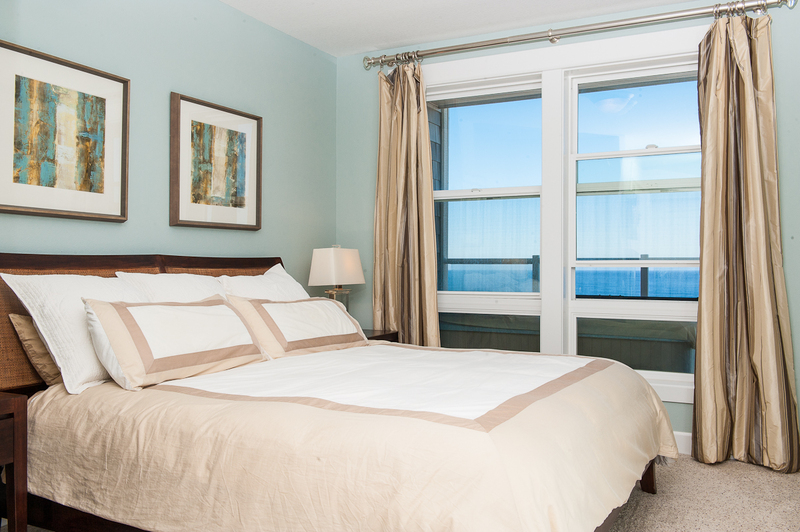 I highly recommend The TIdes and we will be visiting again." Please to hear you enjoyed our condo! "This is the second time my sister and I have celebrated Christmas in this condo. It's perfect - the view, the layout, the proximity to everything is perfect. Our favorite is lots of quiet time in front of the fire, reading or watching movies, with the sound and smell of the ocean so close. It's always a great, relaxing time!" Thanks for spending your Christmas with us! "This place was fantastic! The decor is inviting, the beds comfy and the view is stunning. We fully took advantage of the hot tub on the deck as well." "3 days and nights of ocean breezes, the sound of waves breaking on the beach, relaxing coastal decor, and pure relaxation..."
"We arrived parked and accessed our condo without an issues. The condo was clean, nicely furnished and everything was in working order. We took advantage of cooking our own meals, the hot tub, the properties exercise room and convenient access to the beach." "The place was amazing, Neat and clean and well maintained. We had an amazing view of the ocean. But most of all the privacy and having an onsite manager to assist was the deal maker. I will stay again soon." 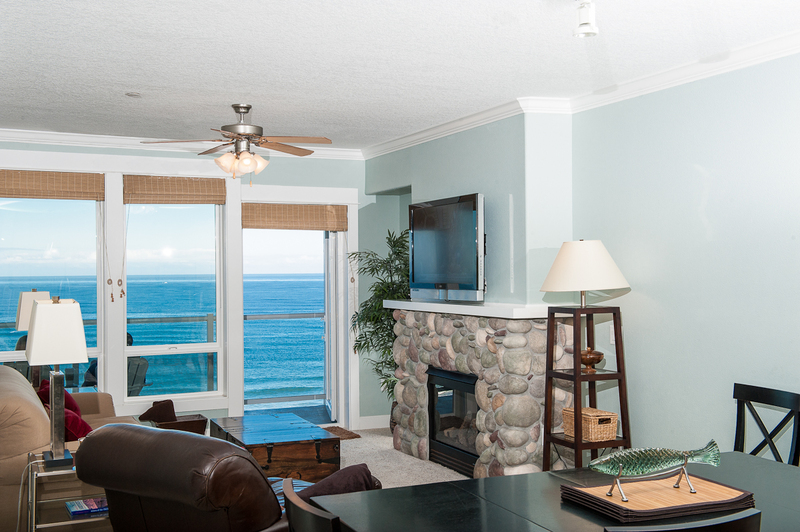 "The condo was in a perfect location, right on the beach, beautiful views, & walking distance to shops & restaurants. It was clean, comfortable, and check-in & check-out was simple & straight forward. I would definitely recommend staying here! :)"
"Incredible stay. Relaxing location and everything you could possibly need in a room." "Modern comfortable clean and a great view. Bring foil and plastic wrap--none provided." "We really enjoyed our stay, lovely view. Very relaxing"
"Best place we've ever stayed! Million dollar views!!!" 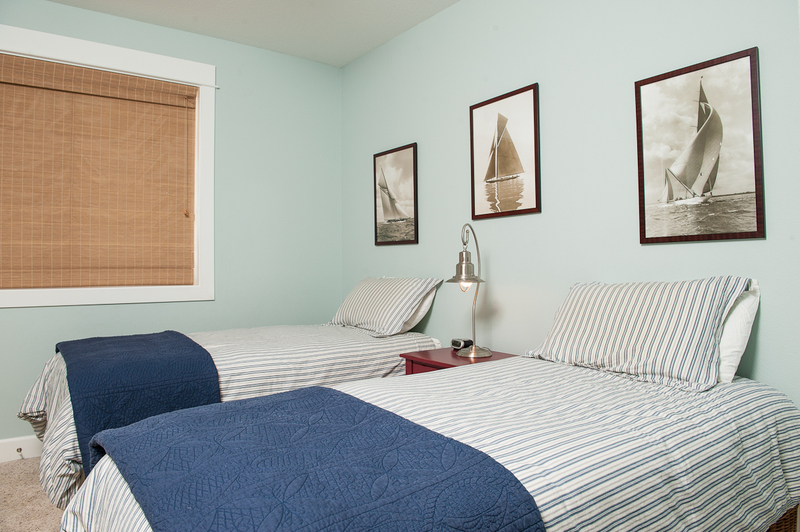 "Best place to stay in Lincoln City!" 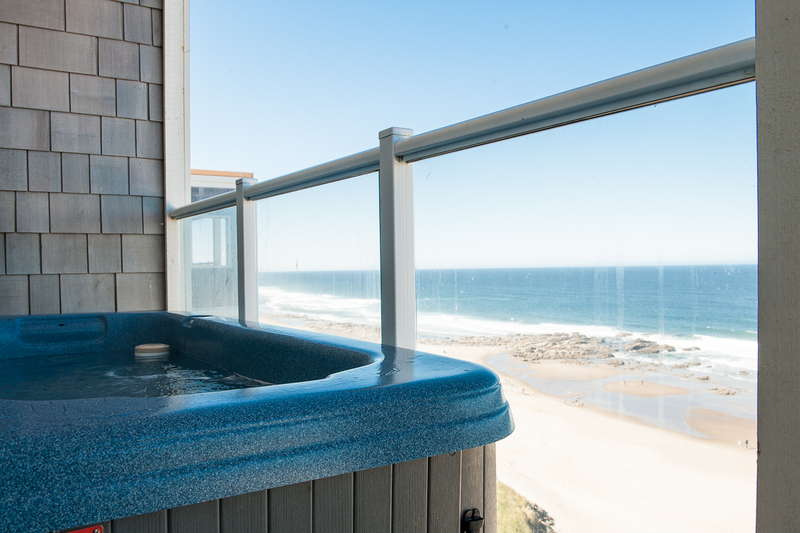 "Love the Hot tub--Great Privacy -- Love the View-- Best Place I have Stayed"
"Pacific Tides is situated on the top floor with a beautiful ocean view. 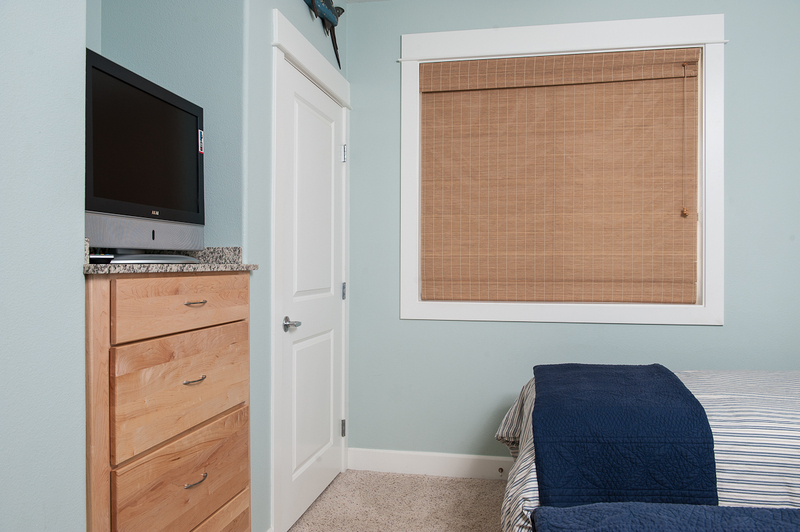 The layout of this particular condo is great for people with kids, as the second bedroom has two twin beds. Also, the master has an of an ocean view. Owners have furnished nicely and provided all essentials. A wonderful place to stay." "This is a wonderful condo with a beautiful ocean view. It has a well equipped kitchen which was great for us since we had several people on special diets. The beds were comfortable and it was beautifully decorated in beach decor. We had a great time even on a grey winter weekend." "It was great... We have stayed at Pacific Winds before and always have a great experience..."
"Our family spent 4 days in the unit. 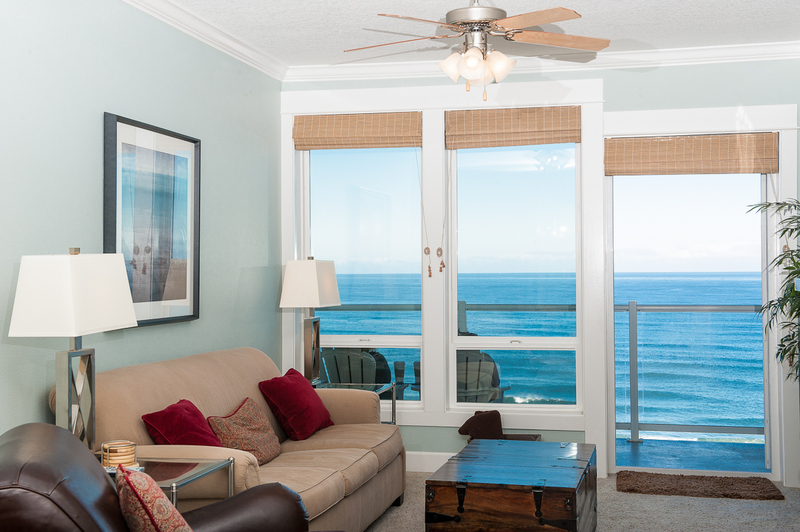 It is a comfortable unit with gorgeous oceanfront views. Cozy unit and clean. Our girls had fun with games and puzzles." "I seriously want to own one of these condos, it is my most favorite place to stay!" "This is a magnificent place to visit. I was 100 percent satisfied with my stay. The Tides Condo is my favorite place to rent when I go to the beach, I rent the Tides because I know I can depend on a certain quality." "Such a great condo. I have stayed in a few luxury condos and this one of the best! My husband and I spent three nights for our 25th anniversary. My compliments to the maid service - it was spotless. Furniture and appliances seem brand new. All dishes and cooking gear is great. So many things I liked: hot tub, art work, view, sound of ocean, walk to beach (close), privacy on balcony and in room (top floor), quiet (because the ocean muffles out sounds), no smoking anywhere at facility, pool (what a surprise, so nice), close to cute little town of Lincoln City, comfortable bed. I really can't find anything I didn't like and my husband and i kept marvelling about how lucky we were to have found it. We also visited the casino one night which was kinda fun." "We have been staying at Pacific Winds condos for about five years now and we have loved it every time. The condos are nice, clean and the view is AMAZING!!!! We always look forward to our next stay." "My husband and I were on our honeymoon and booked this last minute. When we walked in instantly felt relaxed comfortable. The view is amazing, the privacy was just perfect. Very clean and well equipped. We honestly didn't want to leave to continue our honeymoon up Oregon Coast. Beach access a nice short walk. We will be back!" "The Tides turned out to be the perfect unit for us. It is beach front, and close enough to hear the waves. The kitchen has just about everything you need to make a full course meal. 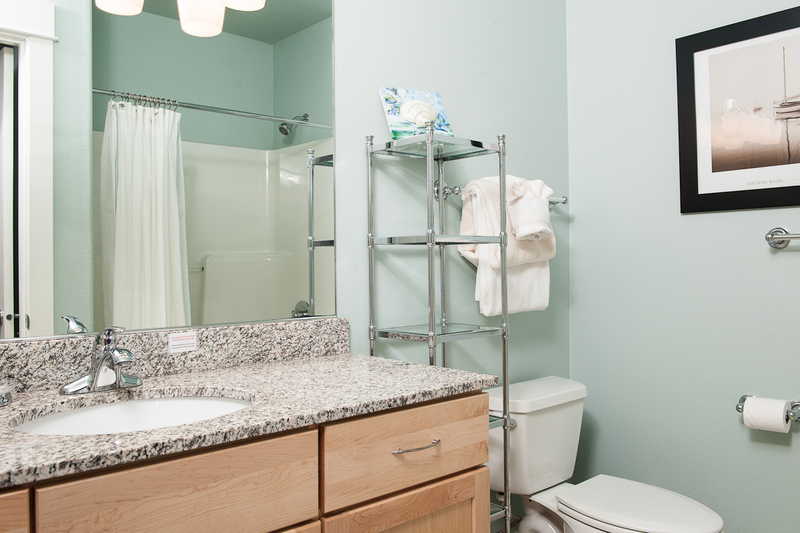 All in all it is beautiful unit that we would rent again." "This place was absolutely perfect. The view was beautiful, hot tub excellent, and kitchen fully stocked. It was only a few minute walk to the beach." "This condo has an amazing view! The accommodations were perfect, it was beautifully decorated, and we enjoyed our stay immensely." 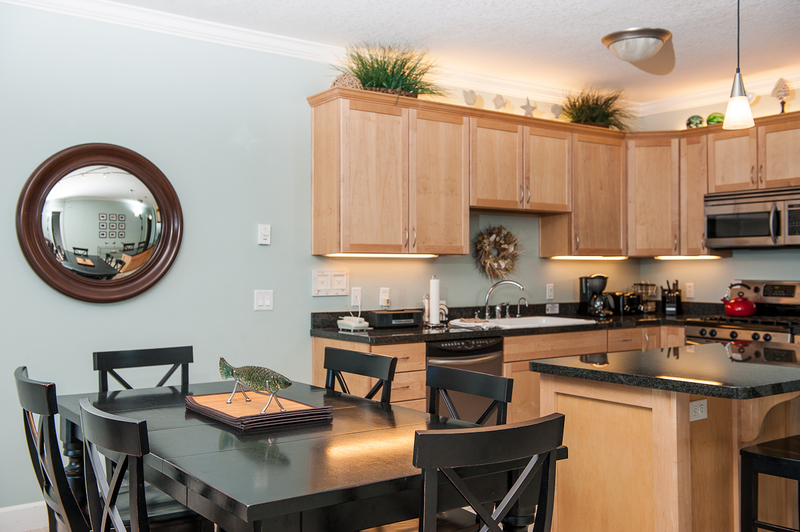 "This condo was the perfect escape for my husband and I. Everything was clean and comfortable and there were so many little extras, from throw blankets to games to everything you could ever want stocked in a kitchen. The view was beautiful and the hot tub was perfect for relaxing. We would definitely stay here again!" "We had gorgeous weather, enjoyed the view from our top floor, kitchen was fully equipped. Great value for the price." "Very impressed with property, condo, and quietness." "The room was lovely, the view was fantastic. Everything was clean and comfortable. I will stay here again." "This was our second stay at Pavific Winds. As last time, the condo was clean, beautiful, and comfortable. 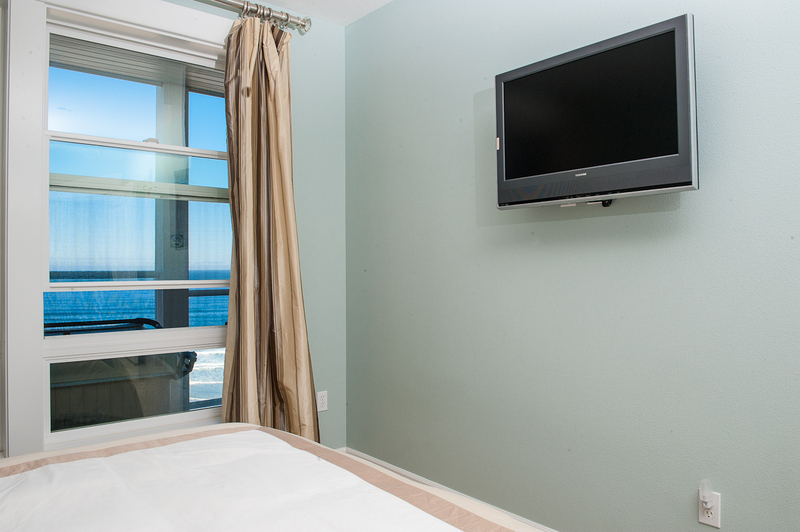 The views are unbeatable and the beach is just a short walk away. The unit was very well-appointed and lacked for nothing. You can't beat the private hot tub on the balcony!" "The tides met all of our expectations. This particular condo is very well equipped and we did not need anything and it is all very nice quality. We had a great Christmas holiday. We found the condo clean and well stocked. Thanks so much for nice holiday lodging." "Usually stay at one of the local Motels when we come to Lincoln City, Decided we wanted a larger place for the Thanksgiving holiday. We chose Pacific Winds. The condo was OUTSTANDING !!! This was like being in your own apartment. The place was very clean and walk in ready. Just had to bring the turkey. The view was wonderful from the 4th floor. n This place was not much more that the much smaller motel room we have stayed at in the past. I highly recommend this place. I will stay there again next time we come back to the Ocean"
"Just Perfect. Book your trip now! I've been to three and all Keystone properties are amazing." "Loved the hot tub on the deck." "Nicely appointed, clean, everything you need for a relaxing weekend! We'll definitely book again." 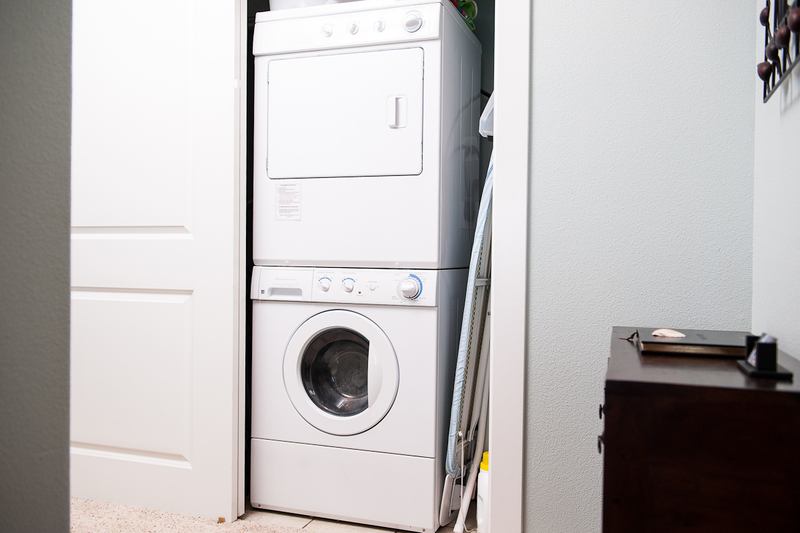 "We loved staying in this rental. The bed was comfortable, the unit cleaned and well stocked, the hot tub was great. Great apartment! The only thing we missed was recommendations for local places to eat, but we managed to find some yummy restaurants! We would highly recommend this place." "Amazing, would highly recommend it. Would go back"
"We love Pacific Winds condos, they are always clean and the grounds are well kept. I have always recommended people stay at pacific winds because we love it here so we hope everyone else will love it to. I can't wait till next year for our yearly beach trip and we will be staying here AGAIN !!!" 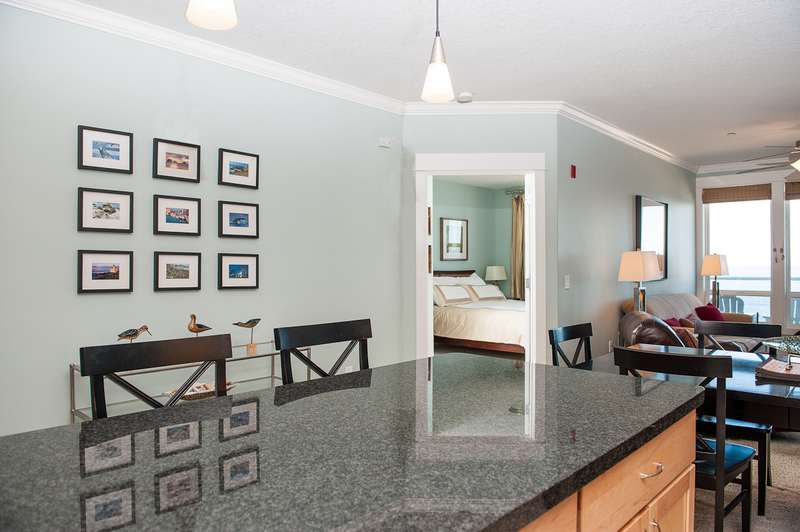 "This is a beautiful condo that we have enjoyed several times. The kitchen is extremely well stocked, even having a crock pot, griddle, blender and hand mixer. Ample dinnerware, silverware and glasses. The only thing you may want to bring would be some extra pillows." "We were very pleased and surprised the rental had everything we needed for our stay. The view was so beautiful from our room!!! We would rent again!" "We had a great time! The view is unbeatable. Clean, updated and comfortable place." "Everything with this property is fantastic. This is the second year we have stayed at Pacific winds. I recommend the 4th floor, the view is unmatched. The Tides was a real treat with how beautifully decorated the unit was. They had everything a chef could ever want in an amazing kitchen. The beds were super cozy, we slept in every morning! We never used the pool due to the ocean was the perfect temp. This is a wonderful place to stay on the Oregon coast; central to everything and short drive to other towns. This is a must stay!!!" "Great Condo! 2Adults, 2 Kids fit perfectly. The property is very quiet, we hardly knew anyone else was there (had the pool to ourselves almost every evening). The Tides is a quality condo with great view. The mattresses are top notch, slept great (even the Twin Beds). Kitchen has everything you need for preparing meals. It was fun to cook and watch the surf every evening. Overall good R&R, would stay again. I told my wife my only complaint was the "chic chair", she loved it, I would've preferred a recliner." "Fabulous! The condo was well equipped and comfortable. The furnishings and decor are modern and good quality. The view is outstanding." "The Tides was the perfect spot for a long weekend away. The kitchen was perfect, the view was great, and the condo had everything we needed for a relaxing weekend. We've stayed at the Tides twice, and will be back!" And even though the building was busy the Unit was very quiet except for the soothing sound of the Ocean waves." "Simply wonderful! Finally relaxed. Everything was exactly as we were told it would be. No hassles. Great place to stay." "This unit had the extra touches I like.....liquid soap in the bathrooms, high quality linens, clean decorations without clutter.....will DEFINITELY stay here again. 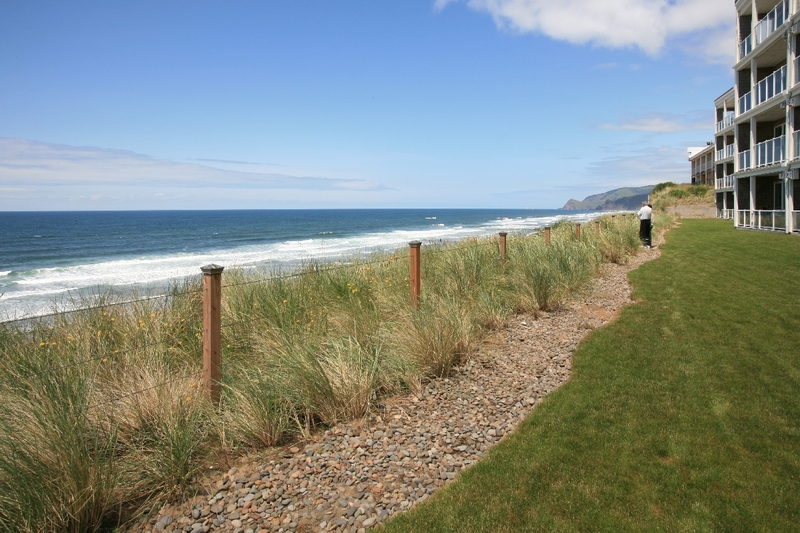 "We had a great time staying at this beautiful property in Lincoln City, OR. We were right on the beach with easy beach access. 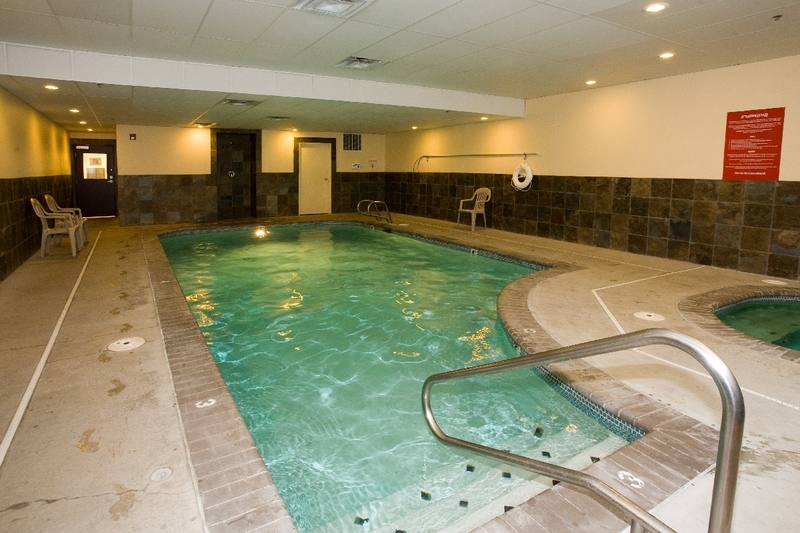 The pool and amenities were also great." "Even lovelier than the pictures would lead you to believe. Wish we could have stayed a full week and not just 3 nights. Lincoln City has plenty of decent restaurants outlet shops, the beach is outstanding even in the heart of winter. I could see booking here again any time of year." "it was great! Very stormy this weekend, which made it perfect for watching the crashing waves from the hot tub on the deck. The Tides unit was just as comfortable as it was last year when we stayed. Recommend to anyone who loves a hot tub with their beach rental. Thanks Keystone!" "My husband, 5 yr old and myself had an amazing time at the condo. It was great to have all the amenities and comforts of home without having to bring them from home. We would definitely stay here again." 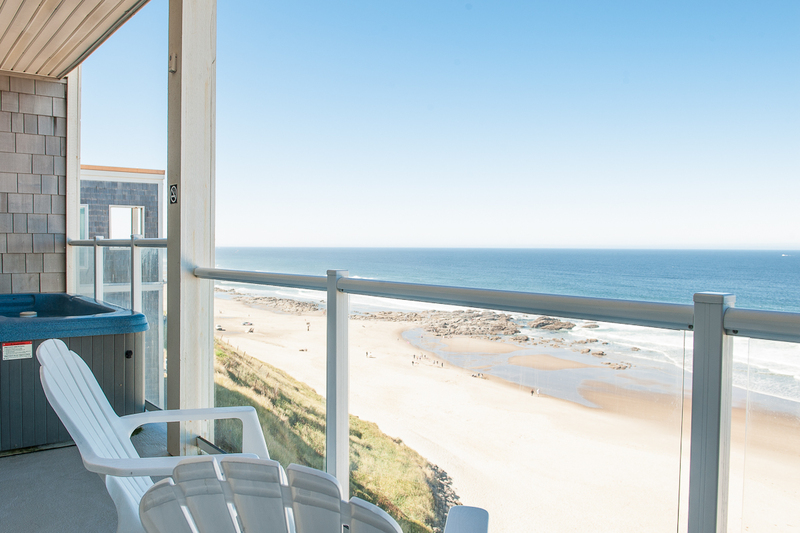 "My husband and I needed a break, so we booked a little vacation for the Oregon Coast. At first we had a reservation at another condo but found out a week before that contruction was going on that week. Chris at Keystone was very helpful in locating another property for us. WOW did we luck out this place was fabulous. Very clean, nicely decorated and such a beautiful view. We will definitely be back. If they had a 6 star option I would have checked it. "Overall this was one of the best places I've ever stayed on a vacation. 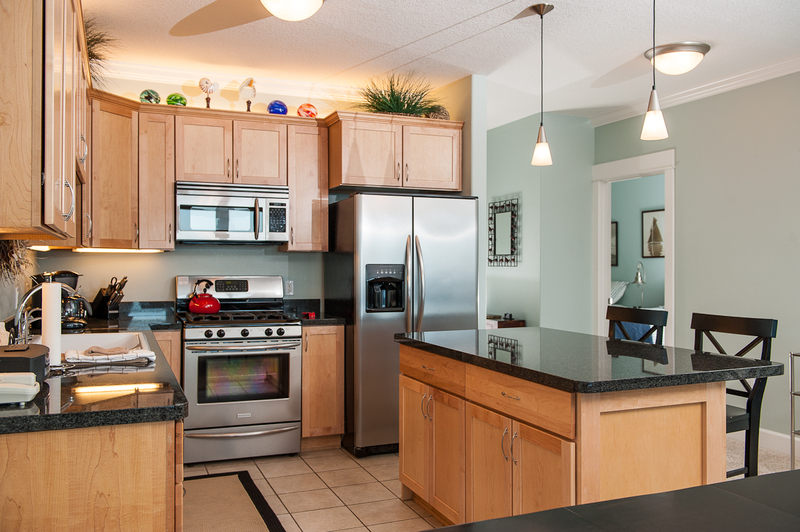 The condo was so very clean inside and the kitchen was stocked with every and anything you should ever need! We had a great time and I would highly recommend it!" "Pack your clothes, as that's all you will need! Beautiful views, A+ vacation rental. We will be back! Totally enjoyed our stay!" "We loved this place and will definitely stay again. When we were in the hot tub it felt like we were directly on the beach!! Thank you for a great stay"
"Everything was wonderful! Great view, easy access to beach and shopping. Condo had many amenities and looked as great as the pictures. I would come back to this condo. Property management co. was helpful in finding the type of condo I was looking for and answering questions." "This condo was amazing! Everything was very clean and exceeded our expectations. I would recommend this home to family and friends. Thank you very much!" "We absolutely loved every minute of staying at this property. My husband and I loved falling asleep listening to the ocean and our 2 teens loved the proximity of the beach and to main street. We will definitely be coming back." "We loved the location, the view, our own private hot tub overlooking the ocean. The condo was beautiful, everything worked well. We are definitely coming back!" Q: what is check in time? Check in time for the vacation homes is at 4 pm PST.